Entry filed under: Everyday Ramblings. 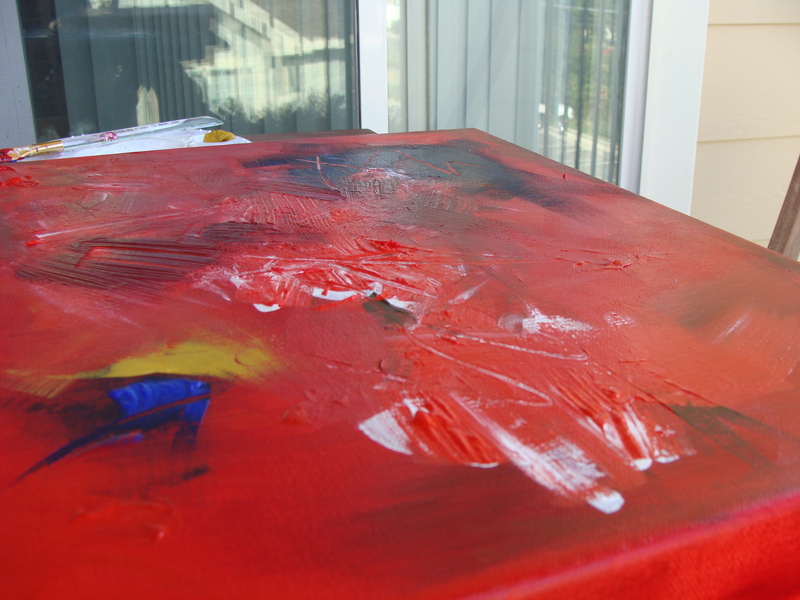 Tags: abstract painting. Mi piace! And I’m sure Saci does, too. Maybe she’s just having trouble seeing the awesome colors. Saci only cares about logic and math. She has no time for the arts. 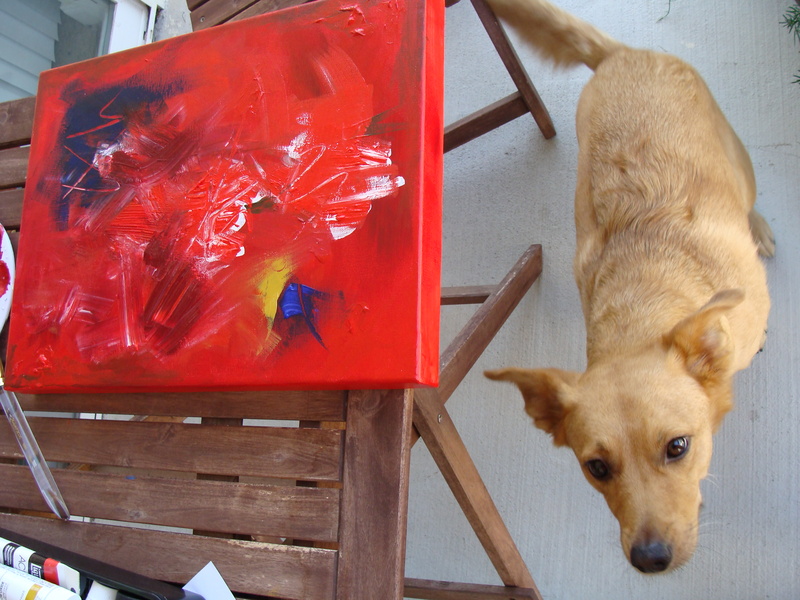 Saci is a balanced Renaissance Dog; she holds appreciation for both the Arts and Sciences. Eryn, did she jump on you .043 seconds after you took this picture? She looks ready to lunge. she IS a Renaissance Dog! she did not jump after that, she looks all curious because i was trying to get her to look at me for the pic.